CDs can be obtained from the Music Office. 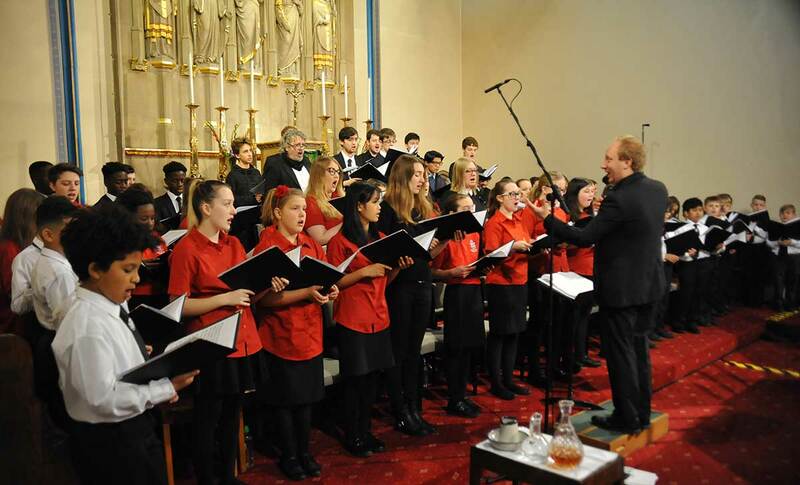 Cheques should be made payable to “Diocese of Leeds Music Fund”. 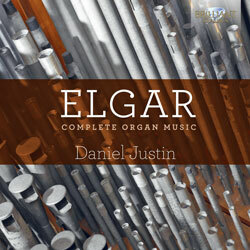 This new recording contains Elgar’s complete original works for organ, as well as several arrangements of his famous showpieces, the first Pomp & Circumstance March, the Imperial March and Nimrod from the Enigma Variations, an iconic piece of English ceremony. Hendrik Andriessen (1892-1981) was one of the most important Dutch composers of the 20th century. 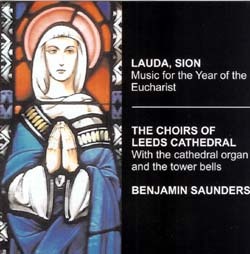 Performed by Benjamin Saunders on the magnificent Grand Organ of Leeds Cathedral, perfectly suited to the large scale of these visionary works. 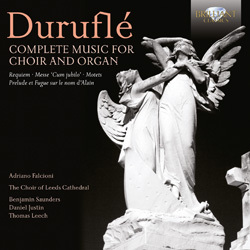 Duruflé’s monumental Requiem is recorded in the composer’s preferred scoring of reduced orchestration and organ. 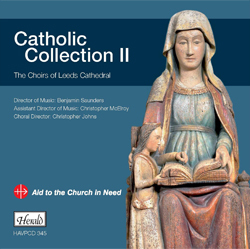 Thomas Leech directs the Cathedral Choirs and Skipton Camerata Orchestra on the first disk accompanied by Benjamin Saunders and Daniel Justin. 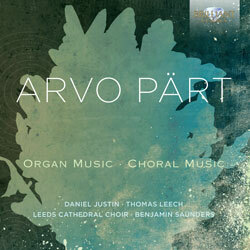 The second disk features the complete organ works played by Adriano Falcioni of Perugia Cathedral. ‘Le disque coup de coeur de la semaine’ Sacrées Musique, Radio France. ‘Excellent, enjoyable and rewarding’ Gramophone Magazine. All of the music of Georgi Aleksandrovich Mushel is presented on a single CD release, much of it recorded for the first time. 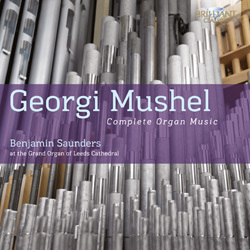 The collection represents some of the most original organ works of the last century taking inspiration from Russian classical traditions and the folk melodies of Mushel’s adopted central Asian home in Uzbekistan. 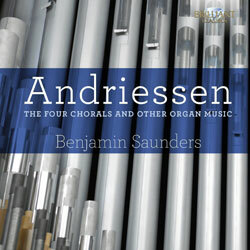 Awarded five stars both in ‘Choir and Organ’ and ‘The Listener’. 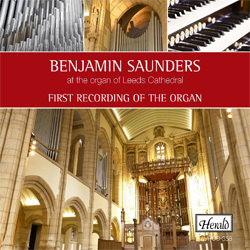 The first recording of the new Klais organ at Leeds Cathedral, played by Benjamin Saunders. The disc features original compositions by Vierne, Guilmant, Part, Howells and Kushnariov alongside transcriptions of music by Glass, Dvorak and Britten. 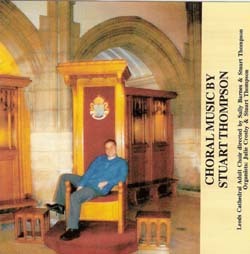 The CD booklet contains full details of the organ. 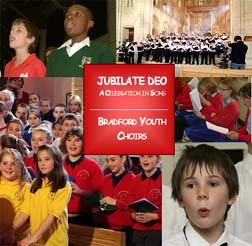 The first recording of the Bradford Boys’ and Girls’ Choirs, joined by children from Diocesan Schools in Bradford, Keighley and Huddersfield. 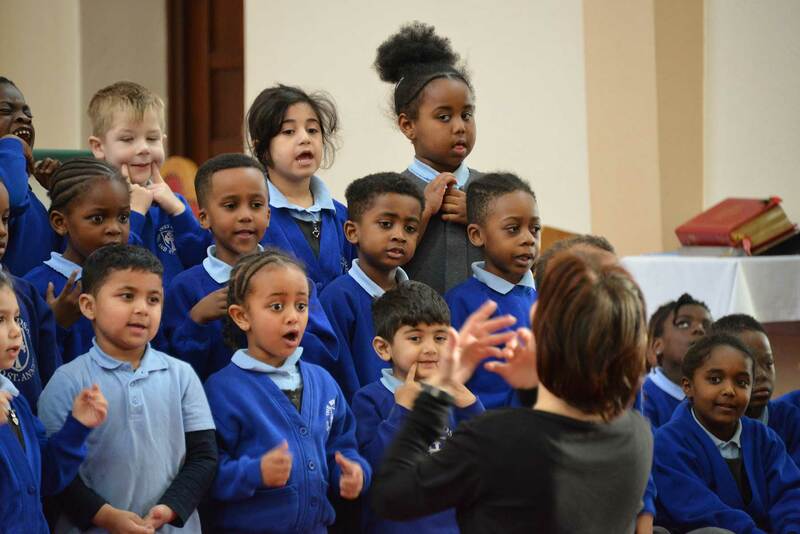 Featuring 400 young voices, the repertoire draws on the cultural traditions of Europe, Africa and the Americas. Music from across Europe including masterpieces by Pedro de Cristo, Rachmaninov, Sumsion and Mawby. Directed by Benjamin Saunders, sung by the boys’, girls’, adult and junior choirs, joined by the Cathedral bells and organ. 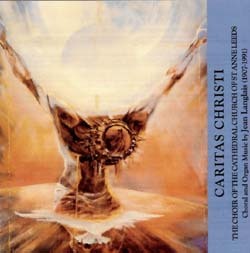 Music by Correa de Arauxo, Langlais and Lassus. Directed by Benjamin Saunders and accompanied by Christopher McElroy. 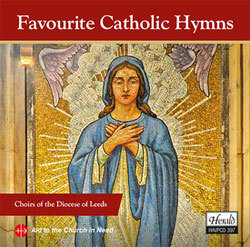 A special disc of Choral Vespers released to commemorate the election of Pope Benedict XVI. 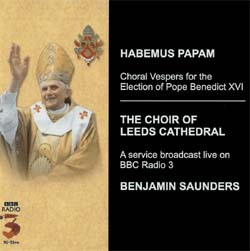 The original service was broadcast live on BBC Radio 3 sung by the adult and girls’ choirs at the time of the papal election. Choral and organ music by Jean Langlais including “Missa in Misericordia Domini”, “Missa in Simplicitate” and “Trois Meditations sur la Sainte Trinite”. Directed by Stuart Thompson and sung by the combined choirs of Leeds Cathedral.